EXCLUSIVE: A twelve-year-old Australian girl was lured into sending revealing photographs of herself in her underwear over Instagram in exchange for a $120 Amazon gift card. 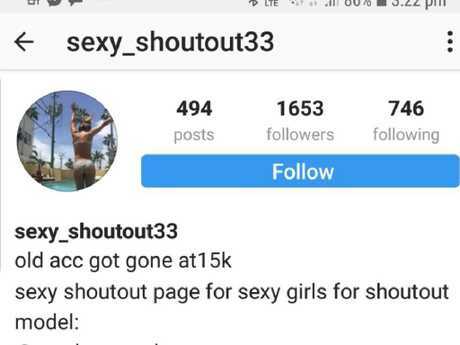 News Corp Australia can reveal the shocking incident - which occurred in July - involved the pre-teen sending "mirror-selfies" in her underwear to a person connected with the @sexy_shoutout33 Instagram handle. The predator had been sending private messages grooming the child and then offered the Amazon gift card in exchange for the revealing shots. The girl obliged, purchasing a pair of shorts, sunglasses and a jumper with the funds from the gift card. She sent three images in her underwear that were then posted on the @sexy_shoutout33 handle, which boasted it had 15,000 followers on a previous version of the account. The predator then approached the girl again and said he would send another gift card for a higher $200 value in exchange for more pictures. When the child's mother found out what had occurred she demanded the images be removed, to which the predator responded: "pay me back my money". The girl's mother, who has gone public with her family's story to warn parents of the dangers of social media, deleted her daughter's Instagram account and reported the incident to the Australian Federal Police. "There were thousands of different young girls all in their underwear and in revealing positions … some laying down and spreading their legs," the girl's mother, who requested anonymity, told News Corp Australia of the @sexy_shoutout33 page which was accessed via approval only. 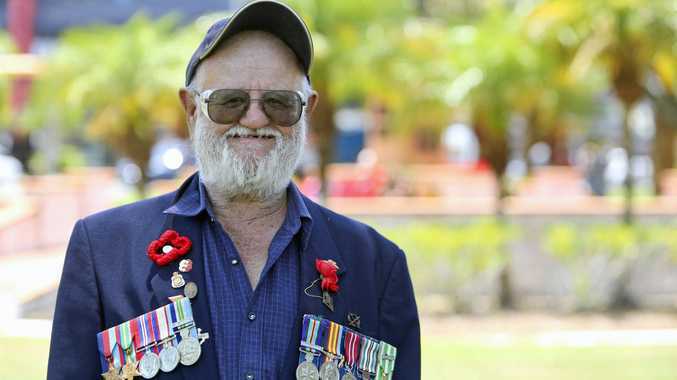 "He knew she was 12 and most of the girls were children or at least very young women." In one account that was linked to the page, a 14-year-old girl posed provocatively in her underwear. "I just assumed my daughter would be smart about these things. All her friends are on Instagram and that's how they communicate. I'm busy rushing from job to job I don't have time to hover and police everything she is doing," the girl's mother said. The AFP said this was the first time it had been alerted to this type of behaviour occurring to an Australian child but believes the issue is very much underreported and it is deeply concerned. Acting Superintendent Jayne Crossling, who heads up the AFP's ThinkUKnow cyber safety program, said it was an issue that was seeing increasing police resources deployed to. Acting Superintendent Crossling said parents using being "busy" as an excuse for not keeping their children safe online "is just not going to cut it". "Adults need to be supervising their young people when they are online and there needs to be open lines of communication so a young person can come to a trusted adult when something is not quite right," she said. Instagram on Friday moved to suspend the account, only after News Corp alerted the social media giant to the incident. "We are very sorry this happened," a spokeswoman for Instagram said. "The content involved has been reported to the National Center for Missing and Exploited Children, following our protocol in cases like this." Children under the age of 13 are not permitted to have accounts on Instagram according to its rules of service. However, a survey conducted by the Office of the eSafety Commissioner in 2016 found that 34 per cent of kids aged 8-13 used social media, and of those kids, 56 per cent identified Instagram in their top 5 most used services. Rather than always actively looking for underage accounts, the platform largely relies on users reporting suspicious accounts or untoward content. Digital parenting expert, Kristy Goodwin, said a lot of parents mistook Instagram for being a safer platform than Facebook - but it was equally dangerous. She said parents had approached her with examples of this type of predator behaviour but were often too afraid to report to authorities. "Kids are playing in these digital playgrounds and no one is supervising them - they are essentially inviting strangers into their house," Dr Goodwin said. Alys Gagnon, executive director of The Parenthood, was "angry and shocked" by the incident. "We all have a collective responsibility to make sure children are safe - no one gets out of that, not a single person or company and Instagram are clearly abrogating their responsibility in this regard and I am appalled," Ms Gagnon said. The story comes in National Child Protection week which began yesterday and ahead of the Australian Centre to Counter Child Exploitation which will be opened by Home Affairs Minister Peter Dutton in Brisbane on Monday.